In spite of French-led U.N. Security Council Resolution 1973 creating a no-fly zone over Libya with the express intent of protecting civilians, one of the over 3,000 new Hillary Clinton emails released by the State Department on New Year’s Eve, contain damning evidence of Western nations using NATO as a tool to topple Libyan leader Muammar al-Gaddafi. The NATO overthrow was not for the protection of the people, but instead it was to thwart Gaddafi’s attempt to create a gold-backed African currency to compete with the Western central banking monopoly. 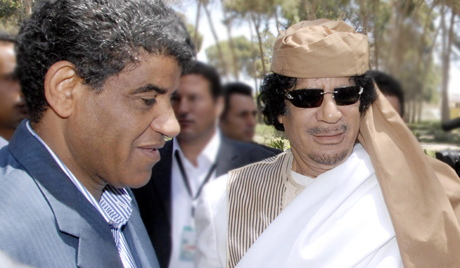 The emails indicate the French-led NATO military initiative in Libya was also driven by a desire to gain access to a greater share of Libyan oil production, and to undermine a long term plan by Gaddafi to supplant France as the dominant power in the Francophone Africa region. The April 2011 email, sent to the Secretary of State Hillary Clinton by unofficial adviser and longtime Clinton confidante Sidney Blumenthal with the subject line “France’s client and Qaddafi’s gold,” reveals predatory Western intentions. The email provides a peek behind the curtain to reveal how foreign policy is often carried out in practice. While reported in the media that the Western-backed Libyan military intervention is necessary to save human lives, the real driving factor behind the intervention was shown to be the fact that Gaddafi planned to create a high degree of economic independence with a new pan-African currency, which would lessen French influence and power in the region. The evidence indicates that when French intelligence became aware of the Libyan initiative to create a currency to compete with the Western central banking system, the decision to subvert the plan through military means began, ultimately including the NATO alliance. Jay Syrmopoulos is a political analyst, free thinker, researcher, and ardent opponent of authoritarianism. He is currently a graduate student at University of Denver pursuing a masters in Global Affairs. Jay’s work has been published on Ben Swann’s Truth in Media, Truth-Out, Raw Story, MintPress News, as well as many other sites. You can follow him on Twitter @sirmetropolis, on Facebook at Sir Metropolis and now on tsu.